Steam Wallet Code (Global)can be used to add balance to Steam Wallet. It is usable by all Valve Steam users globally. STEAM is the one of the most popular gaming platform to play your favorite games. Gamers can select from thousands of titles including best sellers, indie hits, casual favorites, Dota 2 items, Team Fortress 2 items + more. What is Steam Wallet Code? 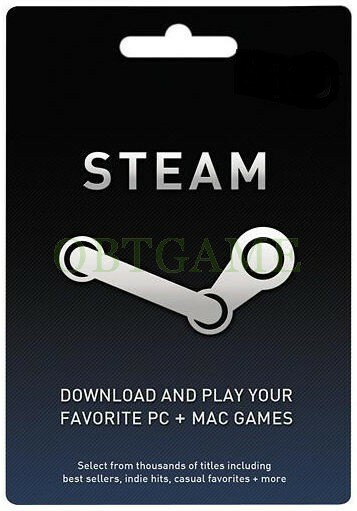 Steam Wallet Code is STEAM's prepaid card used to deposit and reload the stated value into your Steam Account balance, which you can use to buy your favorite games. http://www.steampowered.com Choose from all the best titles from current blockbusters, greatest hits, to the best of the independents. 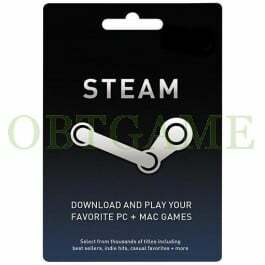 How to Redeem Steam Wallet Code? Login to your Steam account. Go to Redeem a Steam Wallet Code” page. Enter the Steam Wallet Code and click Continue. The funds will be added to your account and be ready for use to buy games on STEAM! Transaction processing time may be very long after Steam wallet payment, but cannot close the page before complete, otherwise the transaction may lead to failure and deductions, Steam wallet money can only ask for Steam customer service to retrieve. Any form of CD Key, Time Card, Game Points, Pre-paid Card is neither refundable nor exchangeable.